The tuition fee is RMB 15,000 per year. Unless CESL has given prior approval to do otherwise, all students must pay the tuition fee at the time of registration. Applicants who wish to postpone the payment must explain the amount and the length of the extension required in the Financial Statement. Tuition fees are refunded to students who withdraw from the programme permanently in proportion to their actual attendance prior to withdrawal. 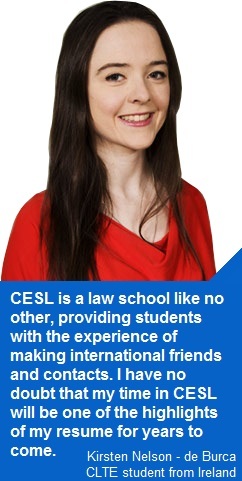 International students from one of CESL’s 13 European partner universities are exempt from paying tuition fees. International students will be provided accommodation in the dormitory at the International Exchange Centre at CUPL’s Changping Campus. A standard room is shared by four students. It costs approximately RMB 2,625 per person per semester. Students who wish to live in the dorm have to indicate this to the CESL office. Students can also live in an apartment close to campus. A small apartment costs approximately RMB 4,000 per month. A shopping centre, banks, a post office, hotels and restaurants are all within walking distance of campus. For living expenses – food, books, medical insurance, transportation, social activities, etc. – international students usually spend RMB 2,500 per month.